Blackheads are the result of clogged pores on the skin. This blockage is caused by an accumulation of sebum, dead skin and some bacteria. The first step in caring for your skin is proper cleansing. A thorough cleanse will get be able to get rid of all impurities such as dust, sweat, dirt and bacteria. Ideally, the best face wash for blackheads should be an oil free product. It should also have some gentle exfoliating properties to remove dead cells and excess sebum from the skin. Together, these actions will help keep your skin healthy. The best face wash for blackheads will contain ingredients like salicylic acid. Salicylic acid is found in many over-the-counter acne treatment products. Its functions include gently helping skin cell turnover and unclogging blocked pores. The best way to use it is to layer it on once or two times every day in concentrations between .5% and 2%. The best face wash for blackheads you decide to choose should be compatible with your skin’s sensitivity. Remember that 2% is the highest OTC percentage available and will not work the same on every skin type. If your skin starts to feel too dry, tight or irritated, revisit your facial cleanser. Either cut back on the concentration or reduce the frequency of application of the product. You can also reduce and refine the number of products in your skin care regimen. If you use a product with a higher concentration of salicylic acid, it can irritate your skin. Over-the-counter retinol products are typically recommended for anti-aging benefits. But the same can also be used to treat blackheads. In fact, these make one of the best face washes for blackheads. These products will keep the skin cells turning over efficiently, without over stripping. And having good, healthy skin will help minimize blackheads. Retinoid products work on skin receptors to improve skin growth. They also influence the way skin sheds so that it is less likely to form acne. Retinoid products even out the outer layer of the skin and make the outer most layer of dead material shed more efficiently. This may result in some noticeable peeling but with regular use the skin starts to look more radiant. While a lot of prescription strength retinoid products are more effective, even over-the-counter varieties can help. However, be careful when choosing a face wash for blackheads as retinoid can be strong for certain skin types. Witch hazel is a natural astringent. This mean that it has the ability to remove excess oil from the skin and shrink down large pores. As such, it is an ingredient which will be found in all the best face washes for blackheads. Using a product with witch hazel in it can help reduce the amount of contaminants that enter the pores. 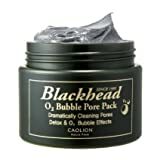 This action can further limit the severity and amount of blackheads formed. Many beauty products use activated charcoal as an ingredient. This is because activated charcoal can be used to whiten teeth, treat acne and reduce blackheads. The charcoal acts as a magnet to draw out dirt from the pores. It has detoxifying properties that not only draw out impurities from deep beneath the skin but also dissolve dead skin cells. Charcoal based products can help you skin looking clearer from the inside out and make it an ideal ingredient in the best face wash for blackheads. In the age of modern beauty products, the best face wash for blackheads does not always come as a traditional face wash. Instead it can comes as either a face scrub, a gel treatment, nose patches or even a charcoal soap bar. Some of these products will be more potent than simple face washes so will be more effective. This is considered by experts as one of the best face washes for blackheads. It is applied as a face mask and features white clay, salicylic acid and exfoliants. All these ingredients help extract impurities from the skin and help get rid of blackheads. To use this product, apply the clay formula onto clean skin. Leave in place for about 5 minutes or until the clay has fully dried. Rinse with lukewarm water. You will notice an instant regeneration of skin and feel your skin breathe again. The clay mask helps the skin look and feel fresh while unclogging pores. One of the best face washes for blackheads, this biore product is ideal for combination skin. The formula is gentle enough for everyday use and penetrates deep into the skin to control and prevent the development of new blemishes. To use, wash face and apply product to wet skin. Rinse with warm water and use twice every day. This product contains salicylic acid and has exfoliating beads to remove dead skin. 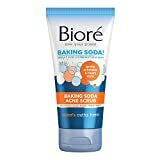 The baking soda in one of the best face washes for blackheads can treat existing acne and banish future breakouts. The face wash has a creamy formula which will help condition and soften the skin. 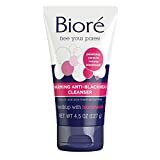 Another blackhead treatment by biore, this product is designed to treat large pores and prevent the formation of more blackheads. This is a self-warming formula that has salicylic acid with microbeads. It can easily vouch as the best face wash for blackheads. With regular use, this products can give noticeable results. But keep in mind that the mask becomes warm after application. This may feel uncomfortable for some people especially if you have sensitive skin. To use, wet face and apply product. Massage gently on skin and rinse thoroughly. This product is for external use only. If skin irritation occurs, discontinue use and opt for a gentler treatment. This is one the best face washes for blackhead treatment. It can be used as a daily cleanser or a deep penetrating mask to get rid of the most stubborn blackheads. 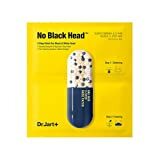 This product contains salicylic acid to keep blackheads away. As mentioned before, the best face wash for blackheads does not always have to come as a creamy formula or gel. Instead the same can also be available as cleansing pads. 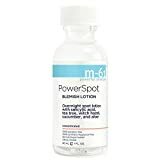 The M-61 power spot pads are a 1 minute, 1 step daily clarifying method. The cleansing pads contain a blend of salicylic acid and witch hazel, both of which help cleanse and unblock pores. It also has tea tree extract that helps reduce inflammation. Its aloe vera content soothes and hydrates the skin and chamomile offers antimicrobial features. To use, apply the presoaked pad on clean skin. Gently move over problem areas while avoiding the eyes. Do not rinse off. To achieve a smooth, radiant and blackhead free complexion, try the PUR joystick. This best face wash for blackheads is available as a travel sized cleansing stick that clears large pores with the help of Moroccan lava clay and charcoal. 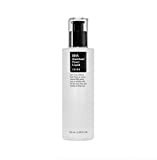 It is a one-step cleanser, exfoliator and toner that works to extract oil, dirt and other skin impurities. While it is suitable for every skin type, the PUR joystick is especially made for congested, blackhead-prone skin. To use, massage the product on damp skin using a circular motion until a creamy lather forms. Then rinse face with lukewarm water. Alternately you can use the same as a mask and leave on skin for a 2-3 minute duration before rinsing. This product is especially made to treat blackheads and excess sebum, making it one of the best face washes for blackheads. It contains betaine salicylate to fight acne causing bacteria. To use, dispense 1-2 pumps onto fingertips and apply to blackheads. Since it is a highly concentrated formula, it is best to use this product once a week. Once you feel that your skin has gotten used to it, you can increase the frequency to 2-3 times every week. Regular use of this product promises a visible decrease in the appearance of large pores and blemishes. This is a powerful mud mask that uses charcoal to extract impurities and contaminants from the skin. It is suitable for using on breakouts, blemishes as well as ingrown hairs. This facial treatment mask works to tighten skin and even skin texture. While it does this, glamglow also fights common skin problems like blackheads. To use, apply a thin layer on clean skin. Leave in place for 15-20 minutes. Rinse with water. Use 2-3 times a week for noticeable results. This face wash for blackheads can be used as a face mask or a spot treatment as needed. This is available as a purifying mask featuring oxygen and active charcoal that work to cleanse large pores, trapped dust, and blackheads. This mask also exfoliates and hydrates skin and leaves it brighter smoother and moisturized. The mask is suitable for all skin types including sensitive. This feature makes this product one of the best face washes for blackheads. To use, wash face and pat dry. Take a grape sized amount of product in apply an even layer all over face. Leave on for a few minutes until the face is covered in a frothy expanse of tiny bubbles. Massage into face again. Wait another five minutes and rinse with cool water. This is a special nose treatment that is made for blackhead treatment. Among high end products, this patch treatment easily qualifies as one of the best face washes for blackheads. The treatment is recommended for t-zones and dark pores that leaves the pores feeling clean and tight. It is a two- step treatment that can help you get rid of your blackheads easily. To use, apply dry patch to wet nose first. Keep in place for 10 minutes. Remove gently to extract blackheads. Follow with applying the moist patch immediately. Remove after 10 minutes. Only choose products that are non comedogenic and non-acnegenic as these make the best face washes for blackheads and large pores. At the same time, stay away from products that have petrolatum and silicones. These ingredients are heavy duty and create a moisture barrier. They seal moisture in and can trap dead cells, oil and bacteria, all of which will cause more blackheads.